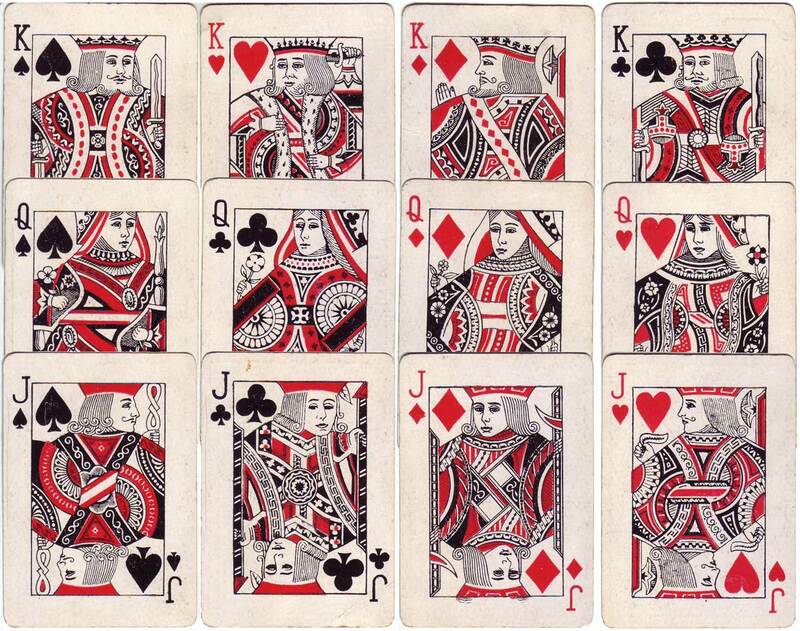 Several styles of court cards and aces of spades are known to have been issued over time. Some are shown here. 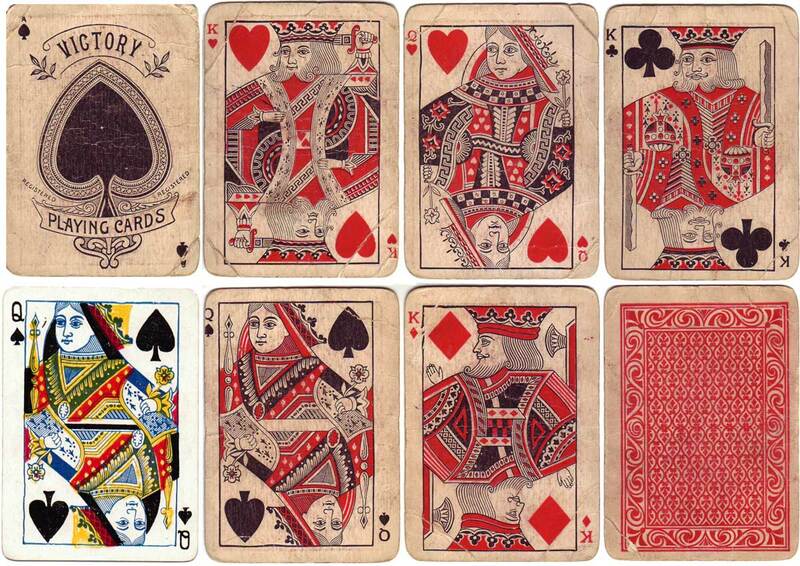 Above: plain ace or with brand name in scroll, copies of NYCCC’s wide courts, can be tiny or standard pip/indices size, two or four colours, c.1898-1910. Ace of spades courtesy Ray Nilsson. Ace of spades with the coats of arms of Australian states around, c.1900 onwards. 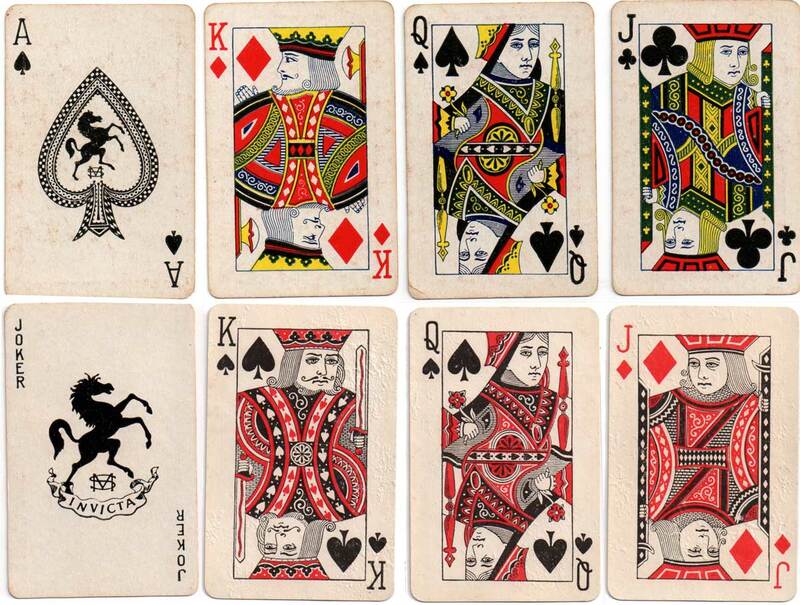 Redrawn court cards with more idiosyncratic designs. Above & Right: two colour and four colour courts, c.1910-1930. Above: new designs of four colour and two colour courts with Invicta ace & joker, 1930s-40s. These courts are similar to those of the National Card Co courts used until the 1940s by the Canadian PCCo. Images courtesy Ken Lodge. CREDITS: Unless otherwise stated, images courtesy John Daniels.